My research area is the topology and geometry of 3-manifolds. I was attracted to it because of the richness it acquired from Thurston’s revolutionary work starting in the 1970s. 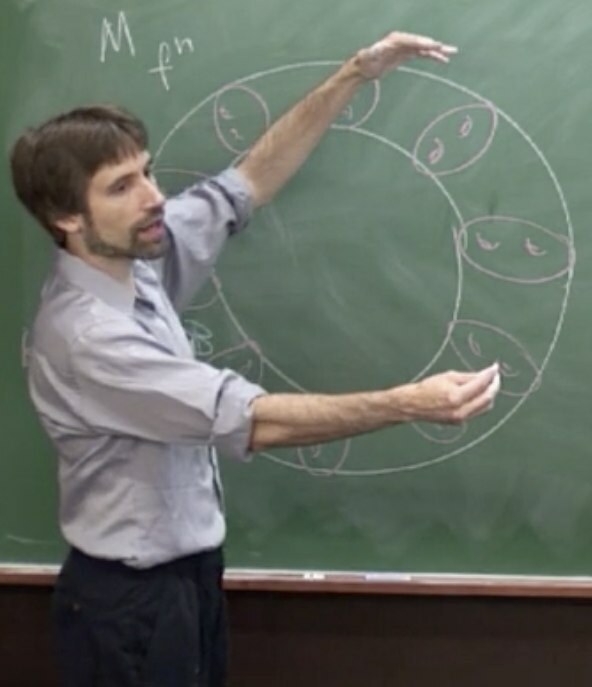 His key insight was that many 3-manifolds admit homogeneous Riemannian metrics, and that one can study the topology of a 3-manifold via this geometry. This profusion of geometry has now been stunningly confirmed by Perelman’s proof of the Geometrization Conjecture. 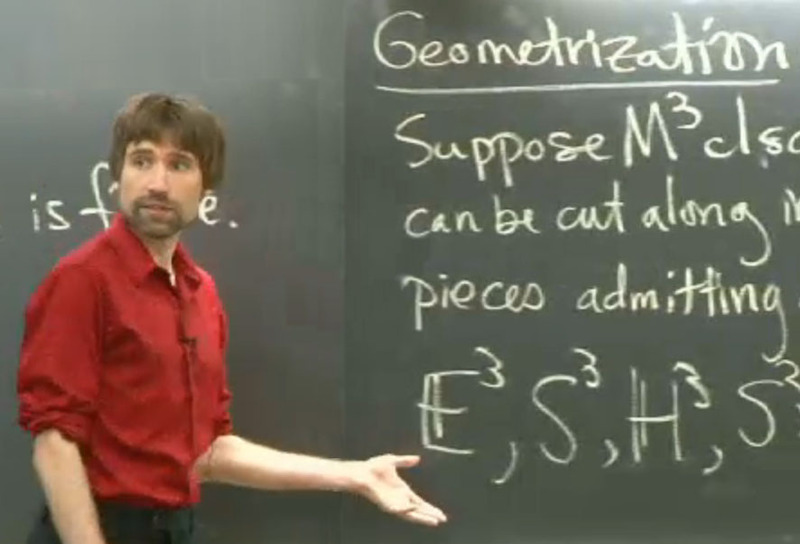 As a direct result, while my work has focused on what initially seem like purely topological problems, in fact I have used a broad range of techniques to attack them, including hyperbolic geometry, number theory, and algebraic geometry, as well as more obviously related areas such as combinatorial group theory and the theory of foliations. These connections to other fields have led me to collaborate with number theorists, theoretical physicists and computer scientists, and in my papers I've used both the Langlands Conjecture and the Classification of Finite Simple Groups, as well as such topological oddities as “random 3-manifolds”. I have been at University of Illinois at Urbana-Champaign since 2007. Previously, I spent four years at Harvard and four years at Caltech after getting my PhD from the University of Chicago sometime back in the 20th century. In 2013, I became a Fellow of the American Mathematical Society. Publications, preprints, slides, and lecture videos. SnapPy, a program for studying the topology and geometry of 3-manifolds. Program to compute the boundary slopes of a 2-bridge or Montesinos knot. Data on the Virtual Haken Conjecture. Additions to SnapPea, and some related tables. t3m: A box of tinker toys for topologists. Source code repositories (Bitbucket): Personal and SnapPy. CompuTop: Links for computation in low-dimensional topology. Current PhD Students: Malik Obeidin, Xinghua Gao, Xiaolong Han, Cameron Rudd, and Chaeryn Lee. Graduated PhD Students: Vaibhav Gadre, Jonah Sinick, BoGwang Jeon, and Brian Benson. I am an editor for the New York Journal of Mathematics. I used to blog about my research over at the Low Dimensional Topology blog. Beautiful knot pictures from Knot Plot and Morwen Thistlethwaite. Fun web games on tori and Klein bottles from Jeff Weeks. The sadly defunct Geometry Center. 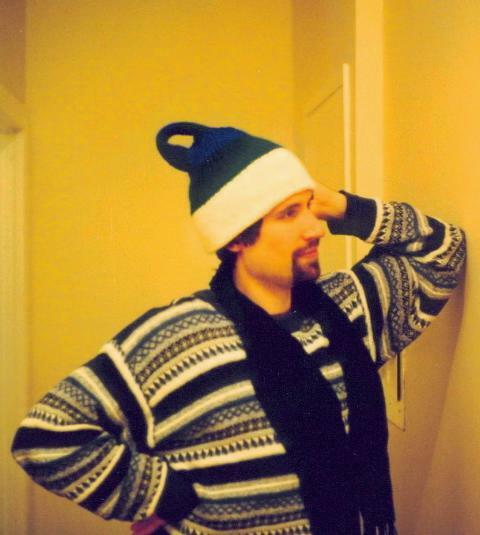 I'm a proud owner of an ACME Kleinbottle, as well as their Kleinbottle hat. It's a carpet that fires plastic darts!